Pants to Brexit is a Europop dance floor classic. No, Jeremy Corbyn is a Brexit Swamp Blues grind. Jacob Rees-Moog is an 18th Century Synthpop Tory Trance groove. 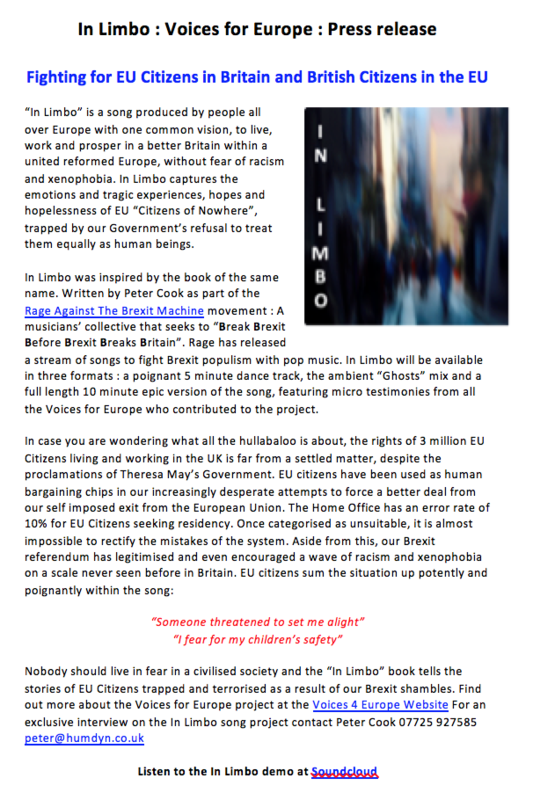 Peter Cook began his Brexit resistance singing satirical covers of classic songs to Theresa May outside Downing Street with The No 10 Vigil, including such well known “hits” as Bowie’s “Brexit Oddity”, The DUP folk classic “The Wild Brexiter” and Breggae roots song “Brexodus”. As well as his musical activity, Peter helped introduce Sir Richard Branson to Gina Miller’s campaign to restore sanity in the UK in his other life as a business consultant and author.“Rage Against The Brexit Machine” is his latest project is to crash the UK Top 40 with a stream of singles and an album. 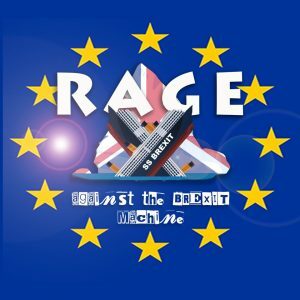 Working with NUB Records, Guinness Book of Records’ award winner RATBM have the support of Jon Morter who successfully knocked Simon Cowell off the Number One slot with Rage Against The Machine. For an exclusive interview, please contact Peter on 07725 927585 e-mail peter@humdyn.co.uk. We are aiming for No 1 to “Break Brexit Before Brexit Breaks Britain”.